Who are our group companies? 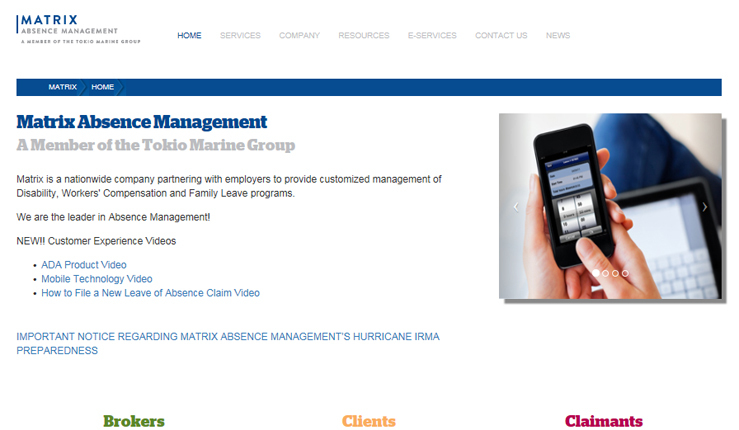 Whether standalone coverage or comprehensive solution, you will find service and value at the core of Tokio Marine. Learn more about our member companies by clicking the buttons below. Committed to elevating the customer experience since its founding in 1987, Matrix was the first to pioneer telephonic and secure online claims intake, management, and reporting; and specialized mobile apps for both claimants and administrators. 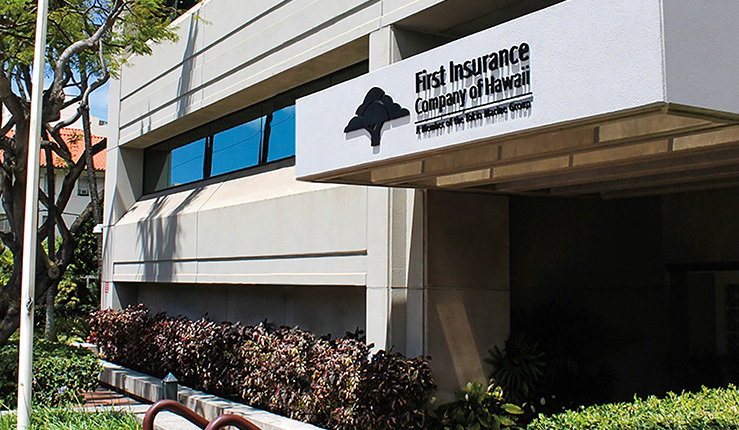 First Insurance Company of Hawaii (FICOH) provides a wide range of personal and commercial insurance products, offered via a network of independent agencies throughout Hawaii. We continually develop new products and services to answer the changing needs of our agents and policyholders. Our brokerage operation, First Risk Management Services (FiRMS), is set up to place non-standard risks. Through our comprehensive offerings across FICOH and FiRMS, we are uniquely positioned to meet the risk management needs of Hawaii residents and businesses. FICOH enjoys an A+ rating from A.M. Best and has also been named one of the nation’s top 50 property and casualty insurance companies by The Ward Group for financial stability and customer service excellence. Founded in 1911, FICOH is the oldest and largest property and casualty insurance company headquartered in Hawaii. Reliance Standard Life Insurance Company specializes in innovative and flexible employee benefits solutions including disability income and group term life insurance, dental, vision, critical illness, accident, and a suite of employee paid supplemental health coverage options. We also offer medical stop-loss insurance and, along with sister company Matrix Absence Management, a range of fully integrated absence management and ADA solutions to keep employers current and compliant in a dynamic regulatory environment. In business for more than 100 years, Reliance Standard strives to deliver a superior benefits experience to and through employers of all sizes, combining a flexible suite of benefits options with our commitment to service excellence. 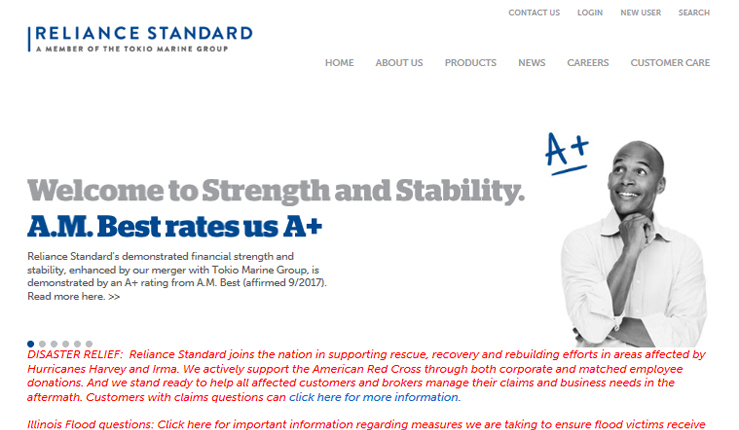 Rated A+ (Superior) by A.M. Best, Reliance Standard markets benefits products and services through independent brokers and agents. Reliance Standard Life Insurance Company (Reliance Standard) offers a portfolio of traditional fixed and indexed annuities to individuals seeking to preserve capital and retirement income with guaranteed returns. Fixed annuities offer guaranteed tax-deferred growth, protection of principal and lifetime income, while indexed annuities allow policyholders to participate in a portion of the upside of one of the most popular stock indices, the Standard and Poor’s 500® Index, while eliminating downside risk. Rated A+ (Superior) by A.M. Best, Reliance Standard earns our clients’ trust every day by maintaining a strong balance sheet, a sound, diversified investment strategy and the partnership of a nationwide network of institutions and advisors skilled in helping individuals achieve their retirement savings goals. 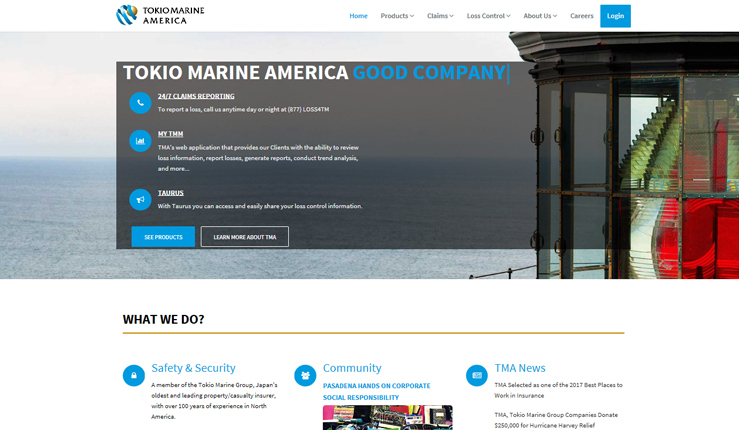 With over a 100 year history in the U.S., Tokio Marine America (TMA) offers tailored products to a diverse range of customers --- from small to large-sized global businesses seeking traditional multi-line coverage, to larger private and public companies requiring full risk management solutions. Our commitment to providing the highest level of service is paramount. More than 93% of our customers recommend TMA based on our superior claims service. TMA enjoys an A++ (Superior) rating from A.M. Best. With a solid foundation of financial stability, our strength lies in understanding your business and working in partnership to exceed your expectations. By offering fully integrated solutions to meet our customer’s needs, we endeavor to deliver ANSHIN - safety, security, and peace of mind to all of our customers. Safety National has been a leading provider of casualty insurance products to the Large Commercial Market for over 75 years. Our primary products include Excess Workers’ Compensation, Deductible Casualty, Loss Portfolio Transfers, and Reinsurance. Established in 1942, Safety National exhibits the kind of stability and longevity that business partners can rely on for decades to come. 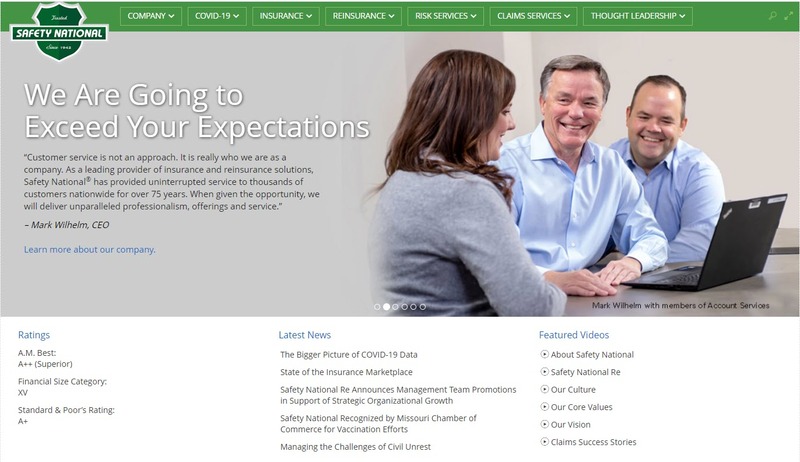 The company’s loyalty and commitment to superior service has resulted in a steady reputation as a proven, unfailing source for specialized insurance solutions. Safety National is rated “A+” (Superior), FSC XIV by A.M. Best. 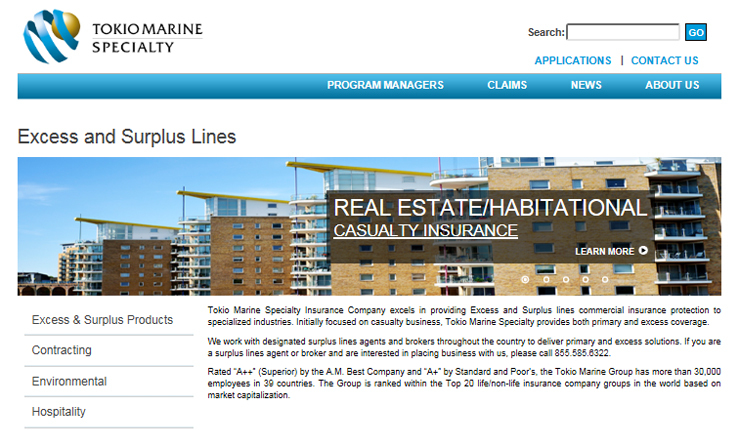 Tokio Marine Specialty Insurance Company is a wholly owned subsidiary of Philadelphia Consolidated Holding Corporation (PHLY), a member of the Tokio Marine Group. PHLY introduced Tokio Marine Specialty as its Excess & Surplus Lines Division in 2012 to serve non-admitted markets. Tokio Marine Specialty excels in providing Excess and Surplus lines commercial insurance protection to specialized industries in all 50 states, including Washington, D.C. and the U.S. Virgin Islands. Initially focused on casualty business, Tokio Marine Specialty works with designated surplus lines agents and brokers throughout the country to deliver both primary and excess solutions. Tokio Marine Specialty has a leadership team with more than 150 years of combined Excess & Surplus lines market experience. 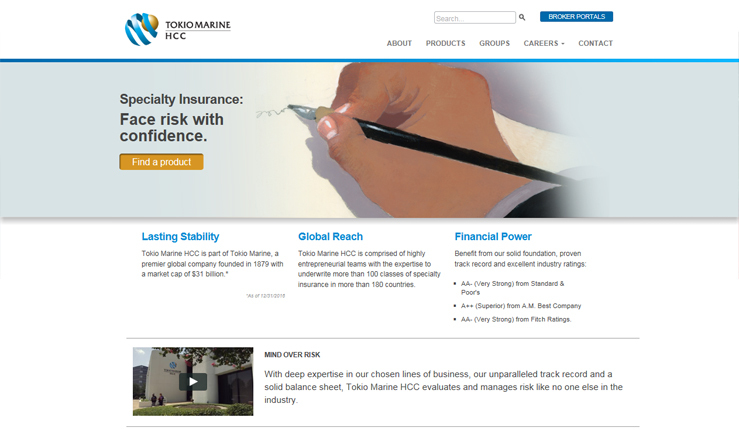 Tokio Marine HCC is a leading specialty insurance group conducting business in approximately 180 countries and underwriting more than 100 classes of specialty insurance. Headquartered in Houston, TX, the company is comprised of highly entrepreneurial teams – equipped to underwrite special situations, companies, and individuals, and acting autonomously to deliver effective solutions. Our products and capabilities set the standard for the industry, and many of our nearly 2,700 employees are industry-leading experts.